Shame on those that say white people cannot dance. It’s simply not true. 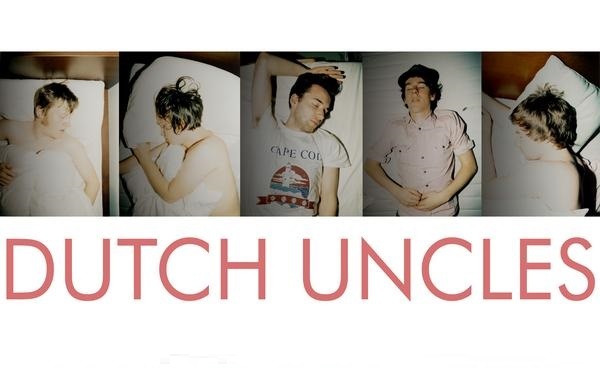 Why, Duncan Wallis of Dutch Uncles is nothing short of spectacular in his band’s latest video for Flexxin, doing everything from body-popping to drunken-daddy-dancing within the confines of a studio that’s simply not big enough for all the moves on offer. These guys aren’t Dutch. They are, in fact, local lads from nearby, though, that kind of dancing will probably get someone beaten up in these parts. Lucky it took place behind closed doors. Holy crap he is awesome! Sweet moves dude! I wana break this dance out somewhere haha!! That's an unusual style, but very cool.